There are plenty of ryokans and hot-springs in the area but ours, Ryokan Sanga, will make sure you will have a trip you will never forget. 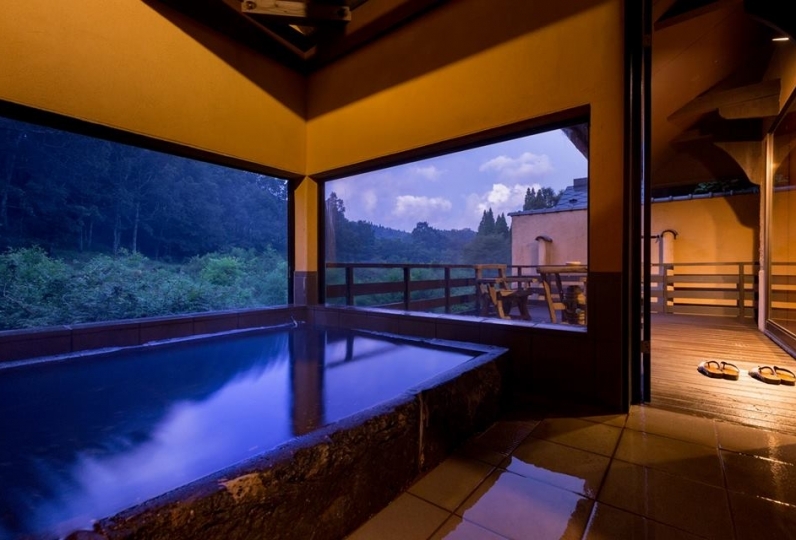 Ryokan Sanga lies in the outskirts of the town and is thus surrounded by the beautiful nature of Kyushu with vibrant trees that continuously change their colors every season. 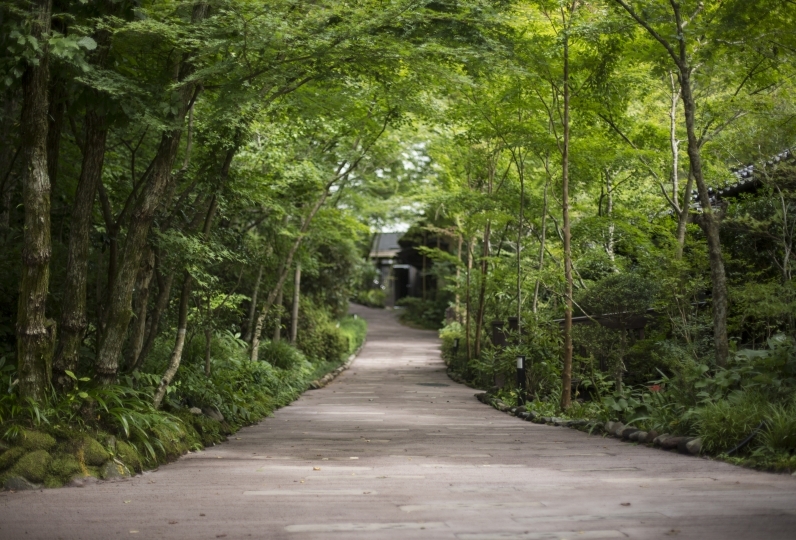 We believe the surrounding nature is one of our biggest prides at this ryokan and we therefore hope that you will be able to enjoy it fully regardless of the season. 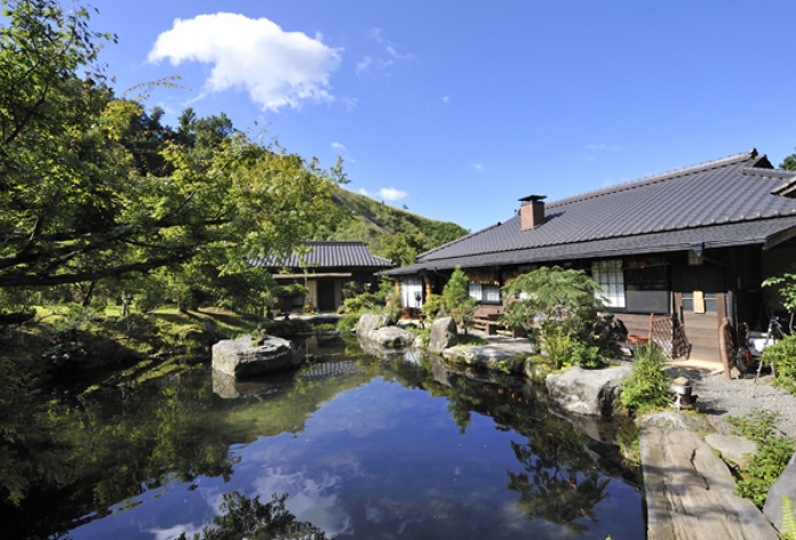 Once you walk around the Ryokan you will find a fireplace and a spacious open-air hot spring. You will be able to feel the energy of the vibrant and the authentic Japanese nature around this ryokan. Your relaxation is also very important to us. We want you to be able to enjoy our seven different types of hot springs while enjoying our natural surroundings. 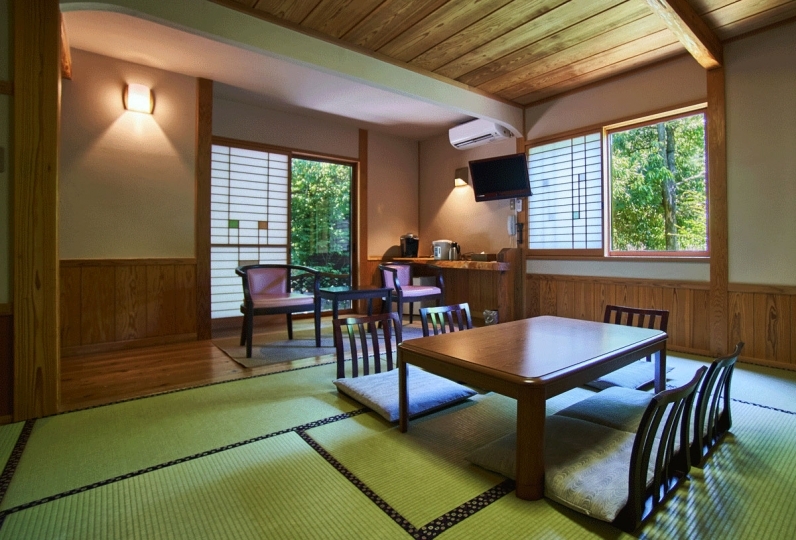 The Japanese style rooms we offer will also make you create the peace of mind you have been longing for. Please enjoy the vibrant yet relaxing atmosphere that Sanga offers you. Great landscapes and first class hot-springs await you. The location is inconvenient, but the good hotel, the senior, the service staff is very kind, the only unsatisfactory is that the public bath is very fine, no special. Thank you for your thoughtful and meticulous service, so that this night is full of wonderful energy and you can enjoy your body and mind. Ryokan's evaluation score is 4.5 points. Dinner and other dish descriptions, and warm dishes are warm, the other rooms and hot springs (especially the open-air bath of the inner bath) were very relaxing, and we enjoyed a pleasant trip. 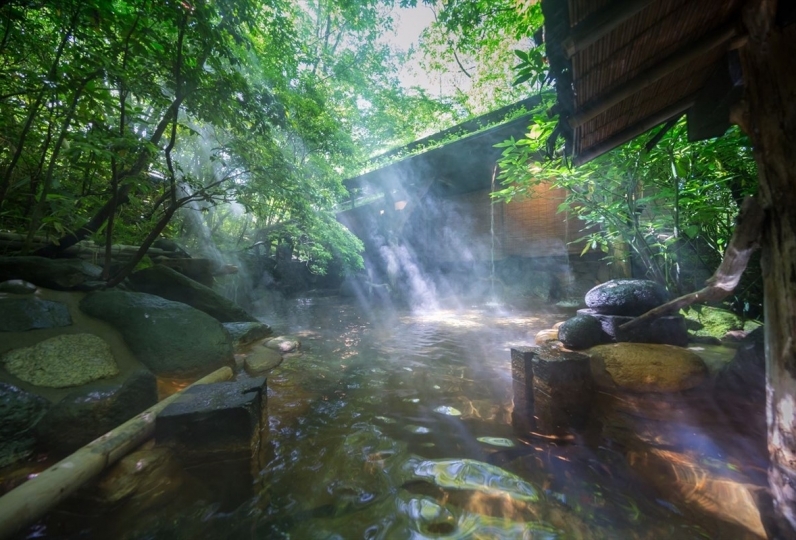 At the ryokan, there are 2 baths available and both are 100% sourced: Yukishi no Yu (Simple sulfur) and Bihada no Yu (Sodium chloride · Hydrogen carbonate · Sulfate fountain). There are also 7 different baths available: outdoor bath, inner bath, Tub bath, reserved bath, etc. It is on the way to the outdoor bath. Located in an elevated location with a wood terrace and table for you to gaze at the moon. We have various kinds of books such as old books, picture books, magazines, and photo collections. From the lobby coffee section you can also order drinks. If you are going out for a walk or the hot spring and within Kurokawa Onsen, we will pick you up at your requested time. Feel free to tell us. ・From Fukuoka Airport: Please rent a car or use the bus. ・From Kumamoto Airport: It is two and a half hours by the "Kyushu Odan Bus". About 2 hours by car. · From Hakata Station: 3 hours by direct bus. · From Kumamoto Station: 3 hours 20 minutes by "Kyushu Odan Bus"